In 2014 Congress had passed a Farm Bill which recognized a distinction between marijuana and industrial hemp that created an exemption to the Controlled Substance Act to allow for growth, cultivation and the study of industrial hemp in certain circumstances. The hemp crop was intended to be a legal crop allowed by the Farm Bill, according to the statement. 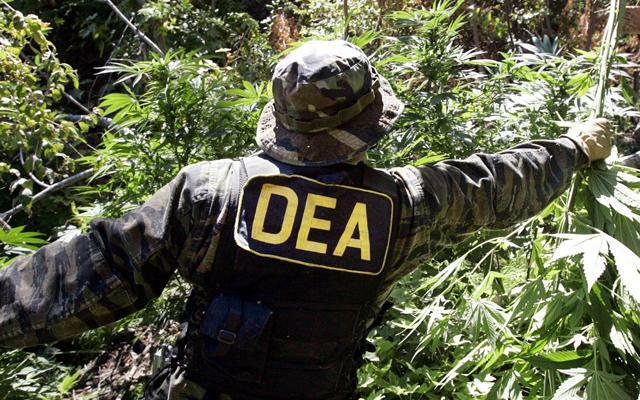 The Tribe had engaged in numerous face-to-face consultations with former U.S. Attorney Jim Santelle and current acting U.S. Attorney Greg Haanstad about the industrial crop, according to the statement. Final samples for testing of the industrial crop were drawn earlier this week during harvest by Bureau of Indian Affairs Agents. “What makes the actions taken today even more difficult is that the federal government is very aware of the great unmet needs of the Menominee. Menominee County ranks at the bottom of the state in poverty and health statistics. The Tribe is trying to meet those needs by researching the potential economic opportunities of industrial hemp just as Congress intended when passing the Farm Bill,” said Chairman Besaw. Industrial hemp crops are currently being grown in Kentucky and Colorado. 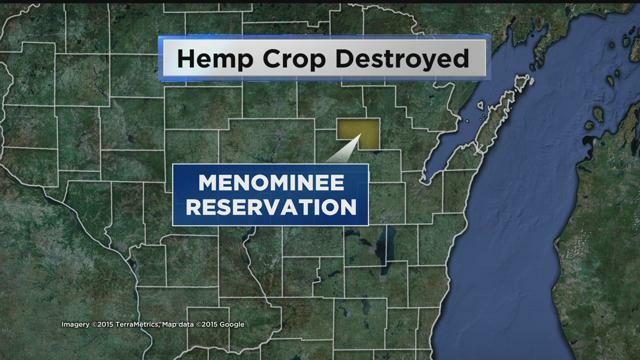 The Tribe had offered to destroy certain strains of the industrial hemp crop that both sides had identified as problematic and offered to file a Declaratory Judgment Action in United States District Court for Eastern Wisconsin to allow a federal judge to decide the dispute. CBS 58 reached out to U.S. Attorney’s Office, but they declined to comment. Posted on October 25, 2015, in State Security Forces and tagged DEA, Drug Enforcement Agency, industrial hemp, marijuana, Menominee Indian Tribe, Wisconsin. Bookmark the permalink. 2 Comments.